During flu season, people often look to the kitchen, rather than the medicine cabinet, for relief. If you're entertaining, nothing is more convenient or forgiving to serve than a pot of homemade soup. Need a starter to open a dinner or a main course to anchor a lunch or supper? Soup, especially one like the tempting Tomato and Roasted Garlic Soup that follows, is the answer. When I think of my favorite foods of summer, it always comes down to corn and tomatoes -- for me, they are the essence of summer flavor. And since we have a few more weeks of summer, why not try this savory corn and tomato soup? Recipes for Health: Can What You Eat Stave Off the Flu? Are there really foods that you can load up on to help avoid the flu and not gain weight? The answer is yes -- my Chicken Tortilla Soup recipes really does have healing properties and is also low in calories. Depending on where you live and what your weather has been like this spring, you may already be seeing fresh sweet corn. By the time summer officially arrives, fresh locally grown corn will be available almost everywhere. 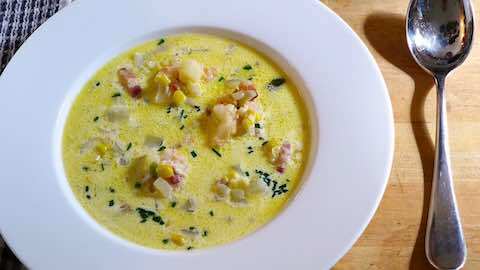 With corn like that, you'll be ready to make one of my favorite summer recipes: Sweet Corn and Bacon Soup with Jalapeno Cream. At last, days are getting longer, temperatures are climbing, and many yards are boasting patches of green, even flowers. Spring is officially here, and if you're ready for new, lighter fare, like I am, you'll be tempted by the following Spring Pea Soup with Bacon and Chives recipe. 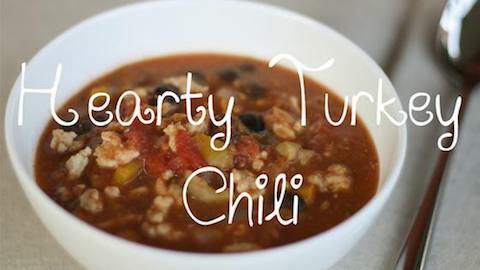 I love this soup because it is easy to make and delivers great flavor without extra calories. It has a velvety texture because the beans naturally take on a creamy consistency when cooked. Better yet, no cream is added. Wilted spinach leaves added just before serving bring a vibrant green accent of color. For best results, use a high-powered blender, which helps emulsify the ingredients into this Cordoban wonder.